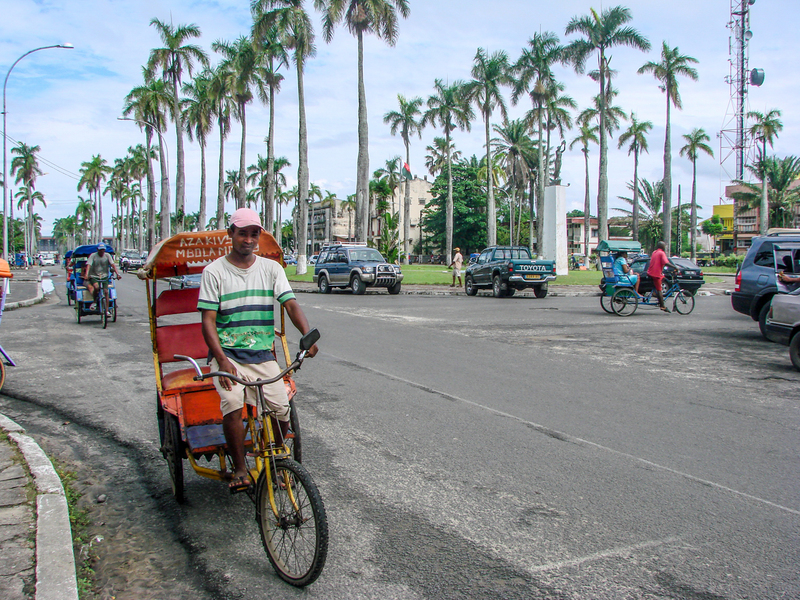 The capital of both Toamasina province and Atsinanana region is also called Toamasina (or Tamatave). It is the most important seaport of the country (about 500.000 inhabitants). 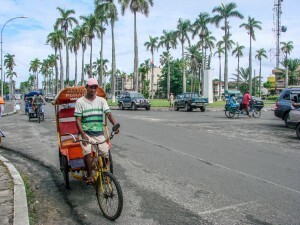 You can walk around or take one of the numerous pousse-velos (tricycles) to get acquainted with the town. See the past in the colonial and Creole buildings in the town centre, be caught by surprise by the Place Bien-Aimée with its magnificent trees; buy vanilla or cinnamon at the local market (bazar be); sniff the scent of drying cloves and other spices. Enjoy the wide avenues lined with beautiful old Flamboyant and Palm trees, stroll the boulevard along the white sandy beach from where you can see the desert island of Ile aux Prunes (Nosy Alanana). Or honour the two museums with a visit, the museum at the harbour and the university museum. You can make a day-trip to Ivoloina Park north of the city to walk among the lemurs, hike along one of the trails to discover various plants, or take a swim near the waterfall. A visit to the palm plantation south of the city is another possibility. Here you can learn how soap is being produced from palm oil, see how different tropical fruits grow, and even do some bird spotting.